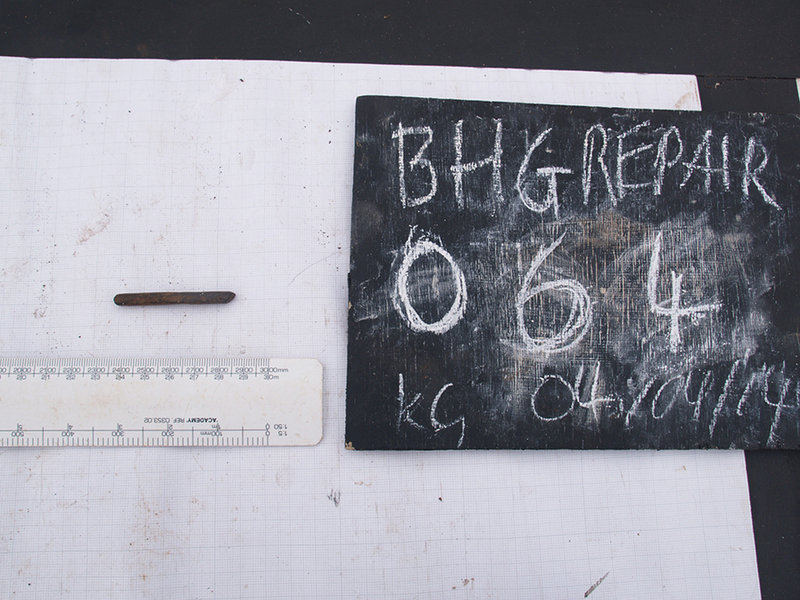 To celebrate National Stationery Week, we take a look at an unusual archaeological find on St Kilda – a battered old stylus! National Stationery Week has put me in mind of one of my favourite finds as an archaeologist. It’s not an arrowhead, or a golden dagger, but a battered and broken old pencil! 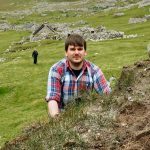 In 2014 I was working on St Kilda, a remote island group 46 miles west of the Western Isles and one of the six World Heritage Sites we have here in Scotland. The islands are owned by the National Trust for Scotland (NTS). They regularly undertake conservation work, supported by us at HES. 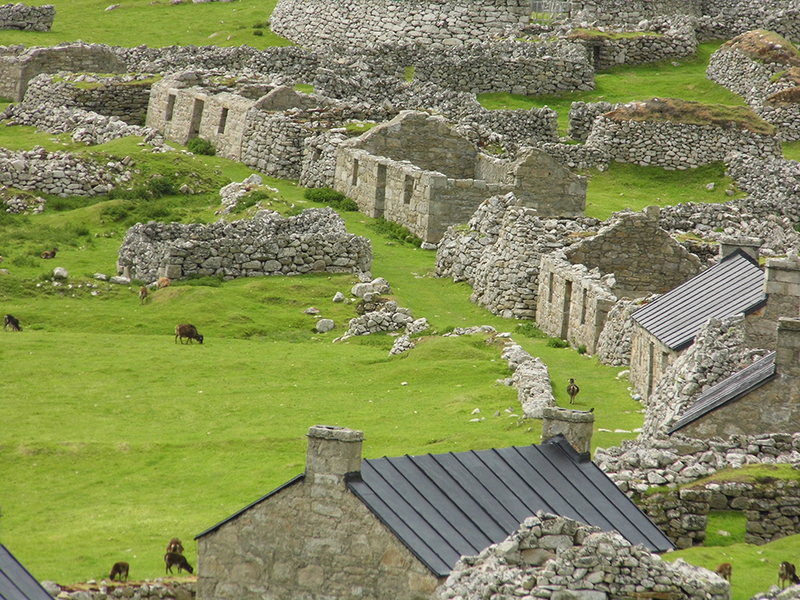 The dry stone buildings and walls of the islands regularly suffer collapses due to age and extreme winter weather. 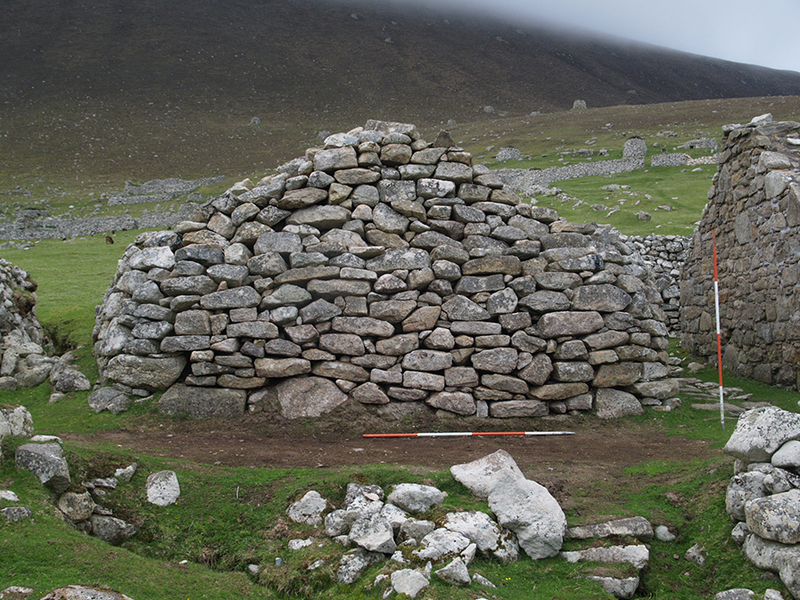 Sometimes the island’s blackhouses (traditional Hebridean buildings), which lie end-on to the sea between the more modern cottages on St Kilda’s single street, need to be repaired. 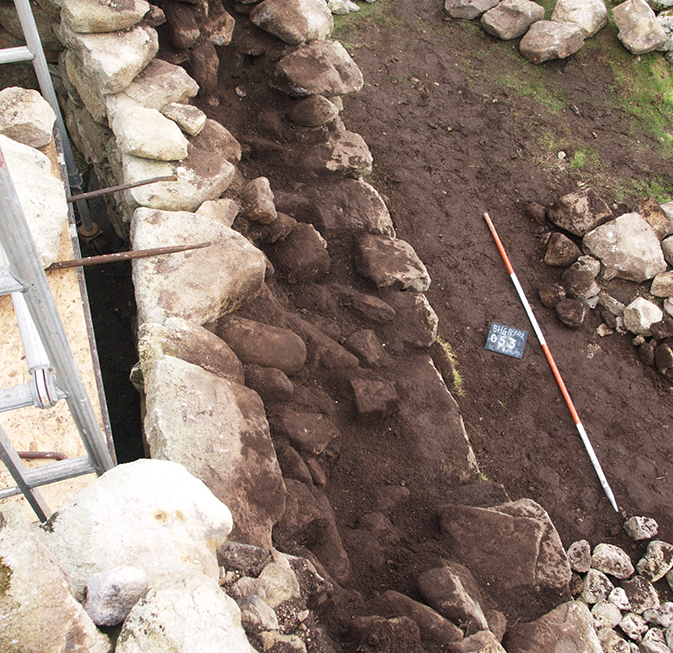 In 2014 it was the turn of the building known as ‘Blackhouse G’ to be repaired. It had suffered a pretty major collapse over the winter. Repairs are done very carefully, stone-for-stone, so it is a slow process. They also give a rare opportunity to understand the archaeology of the islands. Blackhouse walls are made of dry stone skins with a peat or soil in-fill. The first task of the repair was to painstakingly remove the collapsed rubble eventually revealing the original infill of the wall. We found various things whilst doing this, including bits of old clay pipe and tonic bottles for afternoon G&T! It was common for rubbish to be disposed of by dumping it in these walls. Right at the bottom of the soil infill was an apparently undisturbed layer related to the building’s construction around 1830. Within this soil, I made the unusual find below. At first I was somewhat mystified by this little cylinder, blunt at one end. But after feeling how easily it sat in the hand, it occurred to me it was a stylus. This would have been used to write on a slate, probably by someone learning to write – perhaps a child. It was thrilling to find something so personal, and it was easy to feel a direct connection to the past as I held the stylus. Where the stylus was found made it even more exciting. The location in Blackhouse G meant it was probably thrown away around 1830. This is decades before the first known ‘school’ was built on the islands. 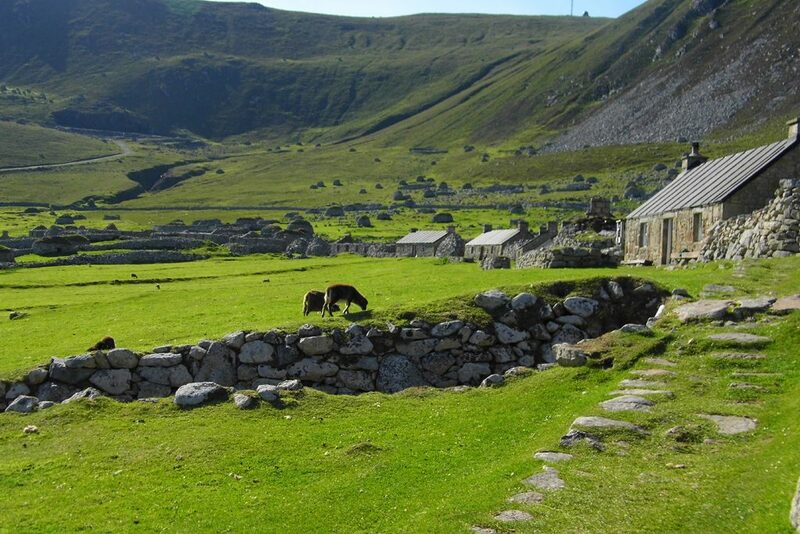 Most accounts by visitors from this time painted a picture of the St Kildans as illiterate, uneducated people who could not write and spoke no English. 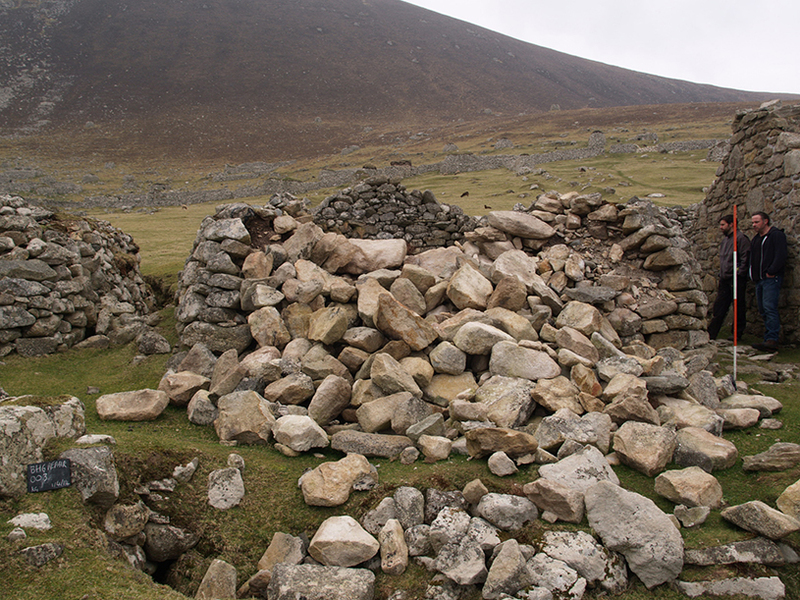 Having said that, an interesting account from the start of the 1800s actually suggests that several of the St Kildans spoke some English, that the minister had a small collection of books, and that some were learning to read and write. 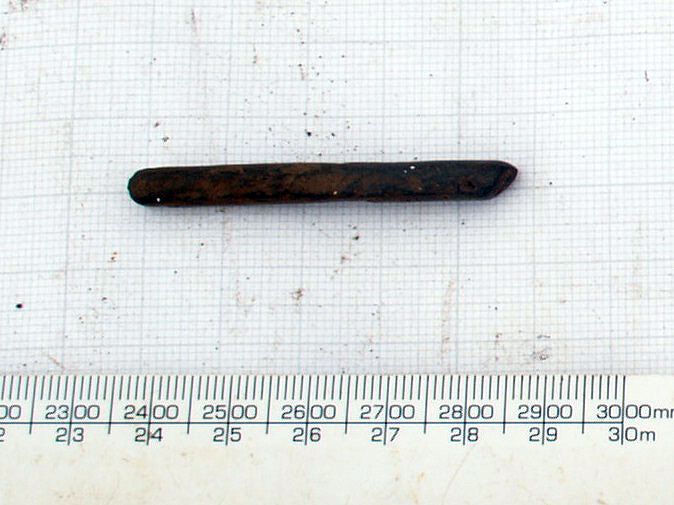 This stylus provides concrete evidence for reading and writing on St Kilda before 1830. It’s also an important reminder that many historical accounts reflect the biases and prejudices of the writers more than the reality of the past. I think archaeology is at its most fun when it gives you real sense of touching the past. Finding objects like the stylus can bring you out in goosebumps! It’s also at its best when it is bringing a new perspective on the past, revealing things that are not well known. It’s often not finding treasure that is most exciting, but everyday objects like this long-lost stationery from St Kilda. As for Blackhouse G, it’s now fully repaired. You’d never even know it had collapsed.